This easy Easter candy bark recipe is a fantastic treat to make for Easter and it’s so easy, the kids can make it themselves! 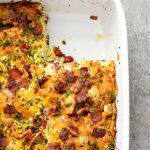 With Easter right around the corner and the kids being off school on their Easter holidays, I have been trying to include them more in the kitchen. Yes, I want to keep them busy and I want them to have fun but my motives are also a little selfish. My thinking is that if I get them to enjoy cooking, I can use them as little mini assistants in the future. And it feels like I’m right on track because they absolutely LOVED making this easy Easter candy bark. So much so that they convinced us to allow them to film a video to show other kids how easy it is and how much fun it is to make (and to eat, let’s be honest). The beauty of a candy bark recipe (or chocolate bark) like this, is that there are really no rules. Use whatever chocolate you want and top it with as many or as little toppings of your choice. As you can see, my kids went completely overboard and added as much Easter candy as they could. 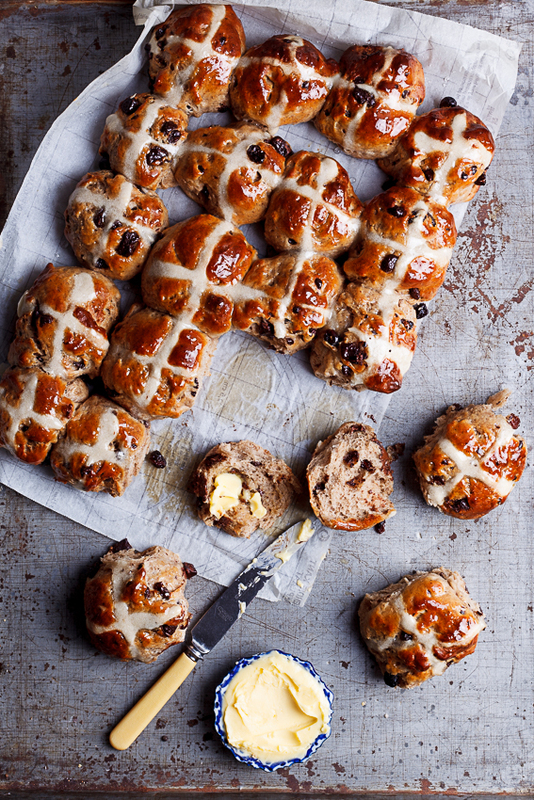 It’s also a nice way to use up any leftover Easter eggs (what is that even?!) you might have lying around. 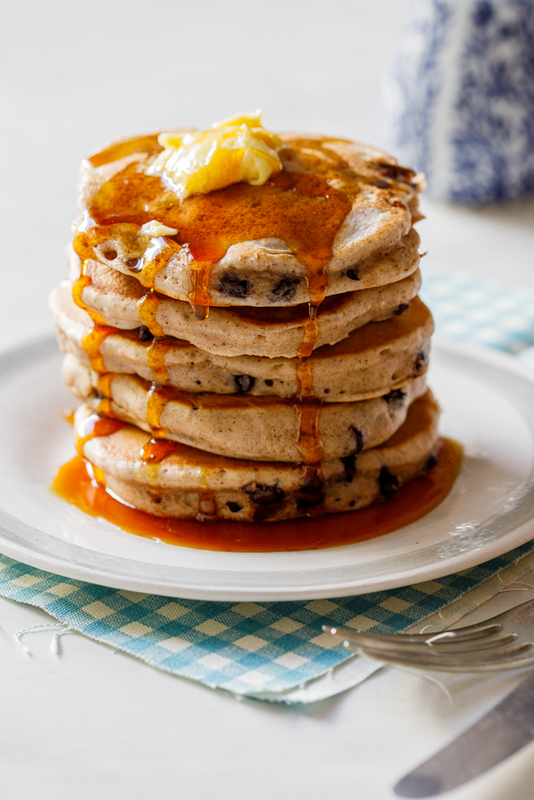 Get the kids to gather all their favourite toppings and get going. 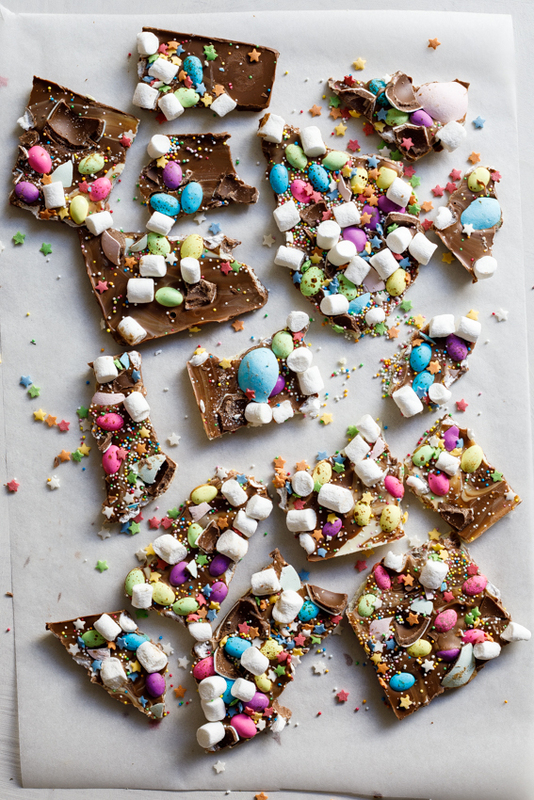 They’ll have a blast and FIY: this Easter candy bark makes pretty excellent late-night snacks for parents. Just sayin’. How do you make homemade chocolate bark? Melt chocolate (use a combo of white and milk/dark for pretty swirls) and pour onto a baking sheet lined with parchment/baking paper. Top with candy of your choice. 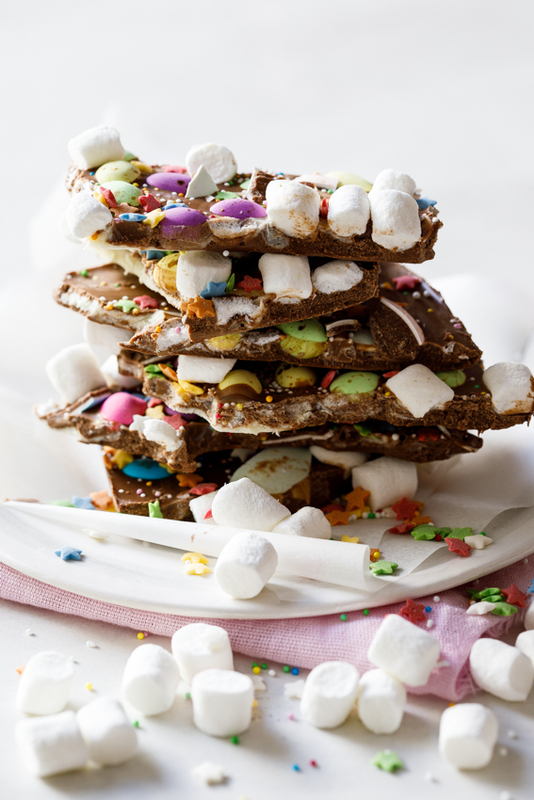 For this Easter version we used mini eggs, mini marshmallows, sprinkles and crushed Easter eggs. Allow to set in the fridge then break into shards. How long does candy bark keep? Candy or chocolate bark lasts a very long time when kept in the refrigerator. 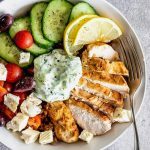 Kept in a airtight container, it can last up to a few months, depending on the toppings. 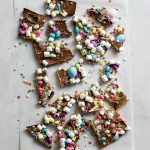 This easy Easter candy bark recipe is a fantastic treat to make for Easter and it's so easy, the kids can make it themselves! In a baking paper-lined tray/dish, swirl the two chocolates together. Sprinkle over all your toppings. Place in the fridge and set until firm. Amazing!! This is so pretty! I love the bright colours and its features. Such a great Easter treat. And so pretty. Love that the kids can make it themselves. Thanks Bev. The kids will have so much fun! That video is crazy cute. Love it. So colorful! My boys are going to love this! Thanks Julie! I’m sure they will! So fun Alida! And I bet it’s delish. I’m sure it will be a hit for Easter! Love the video!